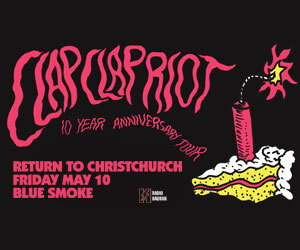 It's been a short but solid week of stellar releases and huge tour news, including the announcement that Pulitzer Prize-winning US hip hop figurehead Kendrick Lamar is returning to Aotearoa for two shows in July! Equally jaw-dropping was the news that Josh Homme's Queens Of The Stone Age will be hitting stages in Auckland and Christchurch this August, and UK pop-rock legends Def Leppard will be playing their anthemic 1987 classic record Hysteria in full at Auckland's Spark Arena in November with support from German godfathers of shred Scorpions. Evergreen Madchester artists The Charlatans are returning to New Zealand after a decade away in August, and on-the-rise Australian songwriter Vancouver Sleep Clinic will also be heading back to our shores in June, playing tunes from his dreamlike latest collection Therapy: Phase 001. 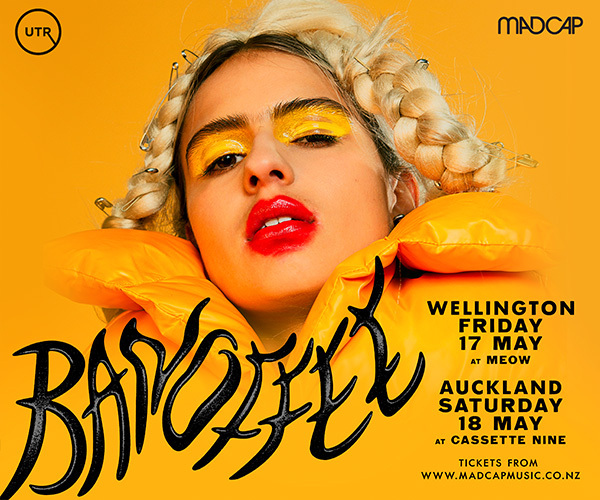 Closer to home, Auckland's Borderline Music Festival announced the thrillingly diverse full lineup for their annual celebration of underground sounds from Aotearoa, to take place at the Wine Cellar and Whammy Bar over two evenings in early June. Adventurous listeners will be over the moon that nomadic sound explorers Hackedepicciotto will be touring in June, brought to you by the tireless team at the Audio Foundation. We were stoked to chat with Josh Homme's ex-Kyuss bandmate John Garcia, ahead of the latter artist's unforgettable acoustic shows in Auckland and Wellington this week, superbly documented by ace photographer Bruce Mackay, who also captured the Capital City performance of fabulous UK punk-poet John Cooper Clarke. We also had a chinwag with with Brighton rock duo Royal Blood who are hitting North Island stages next week. 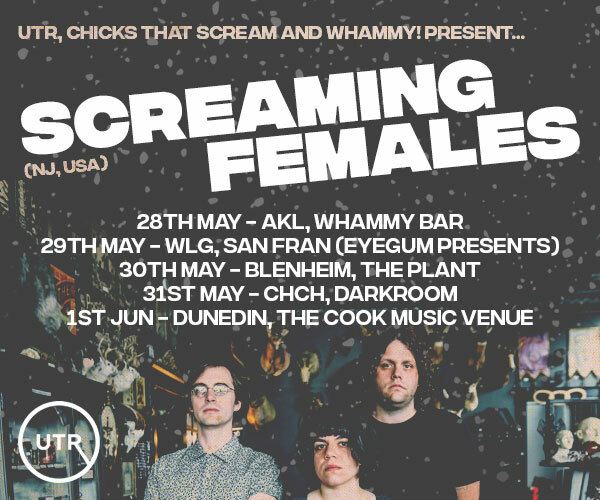 We had the privilege of premiering two fine guitar-centric releases this week, a stunning video for Auckland doom merchants Thousand Limbs' crushing track 'Amok', and a sparkling single from Dunedin psychedelic pop artists Alizarin Lizard. Local release highlights included the long-awaited unveiling of Wellington singer/producer Estère's ambitious double album My Design, On Others' Lives, Death & The Maiden's sublime second album Wisteria, Sandy Mill's sumptuous Giftbox EP, and a snazzy five-song collection of lo-fi pop from Dunedin ratbags Coyote, who are reportedly now at work on a movie!